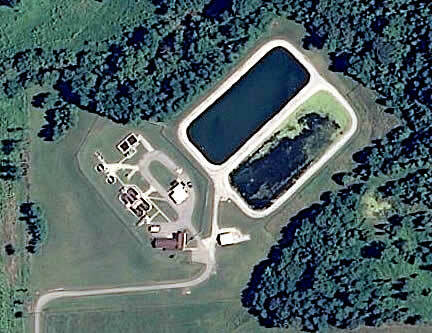 The Florence Wastewater Treatment Plant consists of four phases of treatment: preliminary; secondary;disinfection;and sludge handling. In the preliminary treatment phase, large solids and inorganic materials are removed from the sewage. The secondary treatment plase is a biological process that concentrates on the removal of organic materials. Disinfection of the final effluent is accomplished through Ultraviolet Radiation. Sludge is stablilized in aerobic digesters and sludge stabilization lagoons. The end result becomes a highly useful and effect product when applied to farmland.